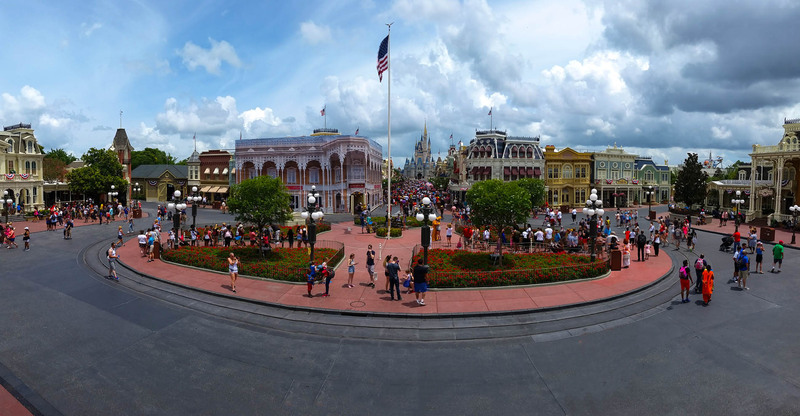 It might be easy to look at Main Street USA at the Magic Kingdom as just a street, a place to get from the park entrance to where you really want to be in the park. After all, it's not a land as lands go. It's not Future World, Frontierland, or Fantasyland. It's just, well, Main Street USA. This month we take a closer look at Main Street and see what it has to offer, and we think you'll agree that it has enough to warrant attention of its own. 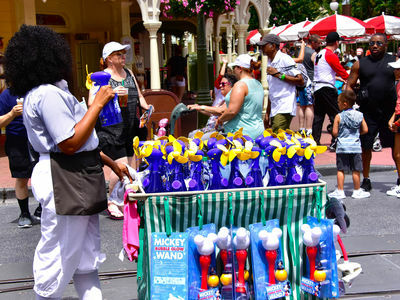 There's entertainment, food, interesting characters, and of course, some unique merchandise that can't be found anywhere else on property. A panoramic view of Town Square, Main Street, and the Castle as seen from the upper level of the Main Street Train Station. Photo by Donald Fink. Entertainment is literally everywhere on Main street. It seems that you barely get in the main entrance and entertainers are on the streets. 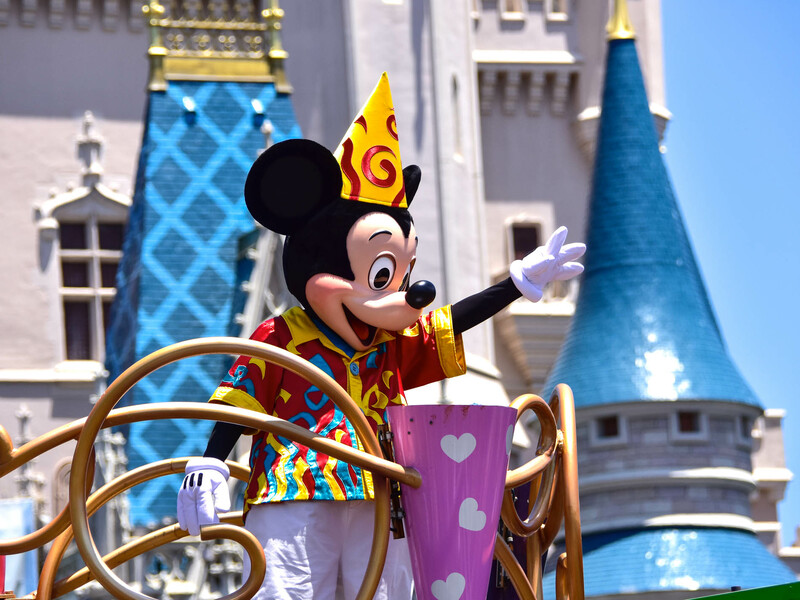 They keep sporadic schedules though, so you may see a group like the Dapper Dans today, then another group or another variation of the Dapper Dans on a later visit. For us, it keeps things interesting. Putting together this story meant chasing them around for several days. 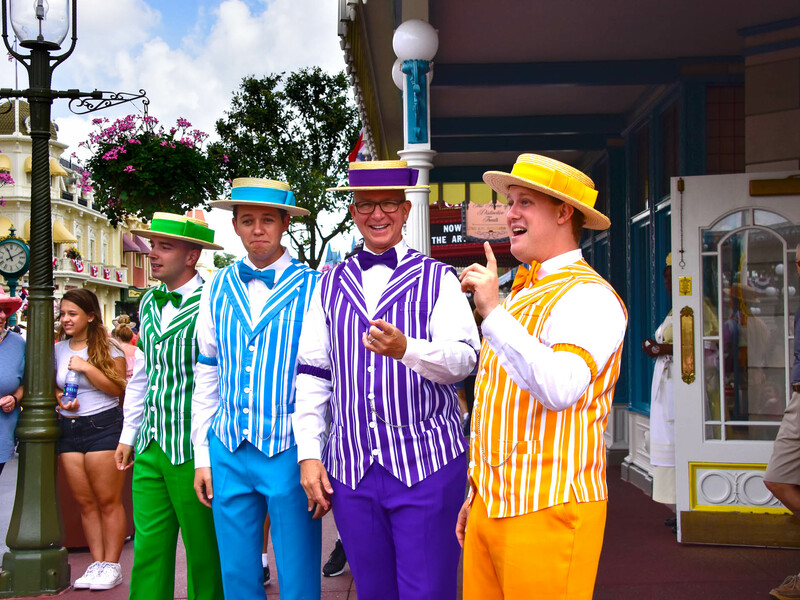 These are the Dapper Dans, a barber shop quartet. 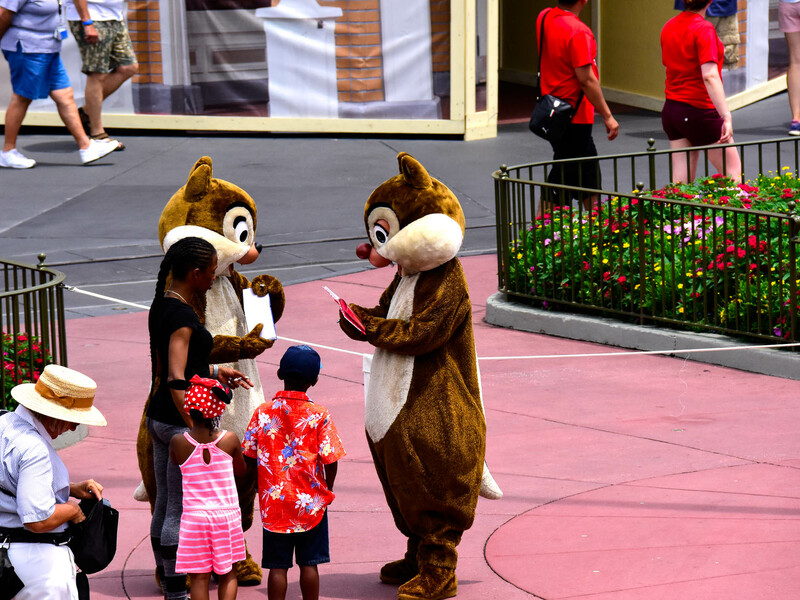 They are frequent entertainment in many spots along Main Street USA at the Magic Kingdom. Photo by Bonnie Fink. 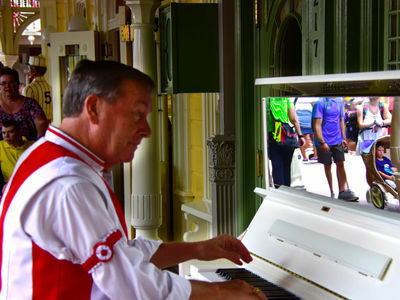 You can enjoy the Casey's Corner piano player if you happen by at the right time. Photo by Bonnie Fink. Victoria Trumpetto on the left, and Hildegard Olivia Harding, both part of the Women's Suffrage Movement, are frequent personalities on Main Street. Photo by Donald Fink. Fire Chief Smokey Miller, Chief of the Main Street Volunteer fire department hangs out on Main Street most days, speaking with guests, taking pictures, and so on. Photo by Bonnie Fink. 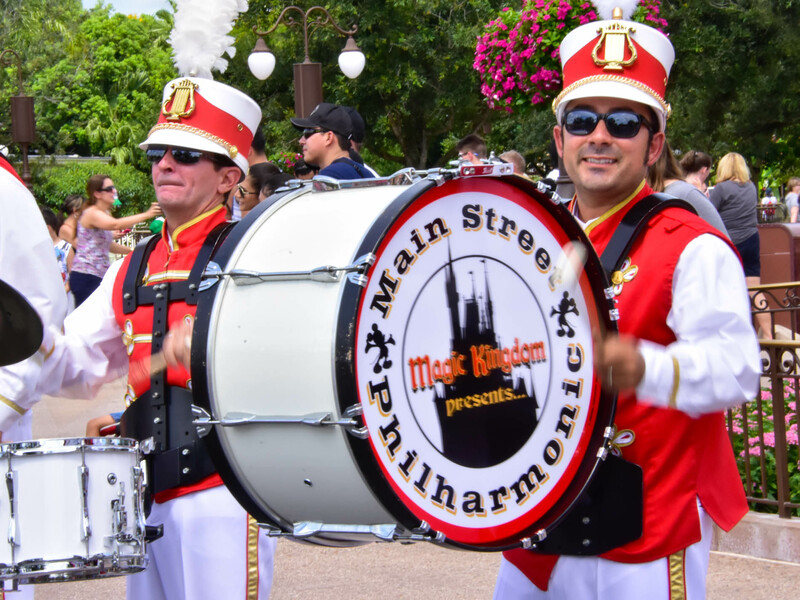 It's not always clear where the bass and snare drummers of the Main Street Philharmonic are going to perform, so if you want to see them, you might check with a cast member the day you're there. We recommend that you take the time to catch one of their performances. They're good. In this image, they were performing in the Hub. Photo by Bonnie Fink. 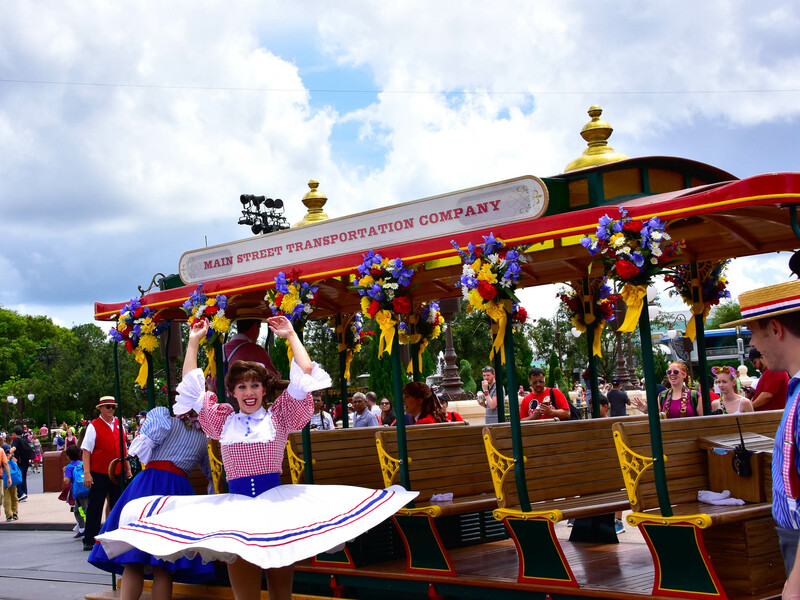 A few times a day you can enjoy a performance of the Main Street Trolley Show. They're usually a group of eight dancers that make several stops along Main Street for a few minutes. Photo by Bonnie Fink. In this short video you can see excerpts from three of the Main Street shows: the Main Street Trolley Show, the piano player at Casey's Corner, and the Main Street Philharmonic. All of these entertainers are fun to watch, and it's well worth seeking them out. Video by Donald and Bonnie Fink. 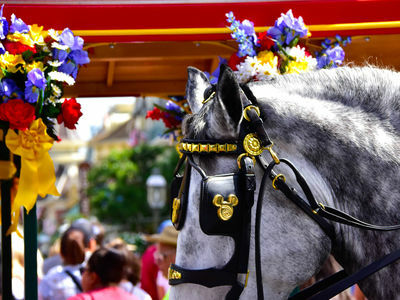 During certain times of the day you can ride one-way on a horse drawn trolley. The trolley is usually available just before and just after the performance of the Main Street Trolley Show. Photo by Bonnie Fink. 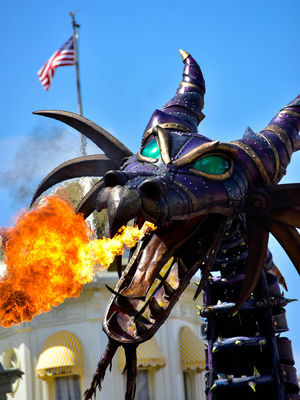 This steam punk looking dragon is actually Maleficent, from the movie "Sleeping Beauty." 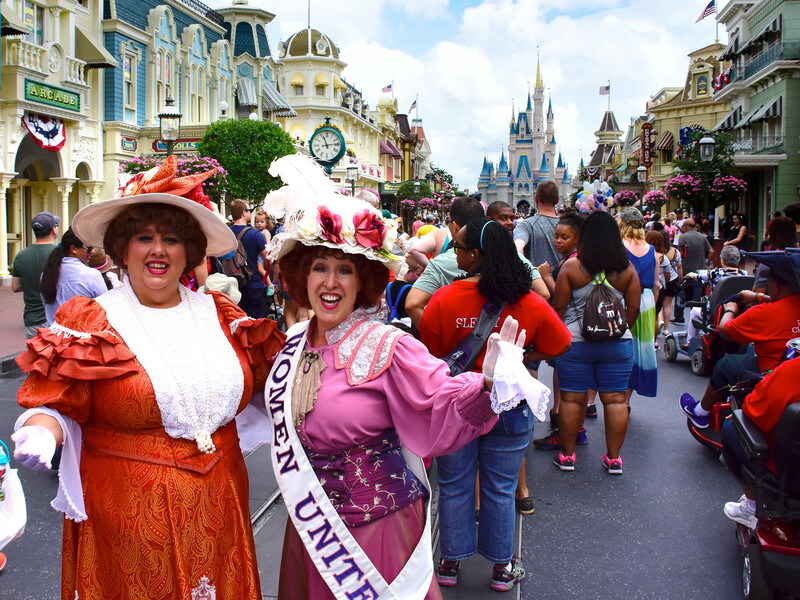 She's also part of the action on Main Street during the Festival of Fantasy Parade. Photo by Bonnie Fink. Mickey Mouse makes an appearance at the Move It! Shake It! Dance and Play It! Street Party. Photo by Bonnie Fink. There are several small stage shows at the castle throughout the day, usually ending in fireworks. Photo by Bonnie Fink. If you stayed on Main Street USA for an entire day, not visiting any other part of the park, you would be in no danger of going hungry. 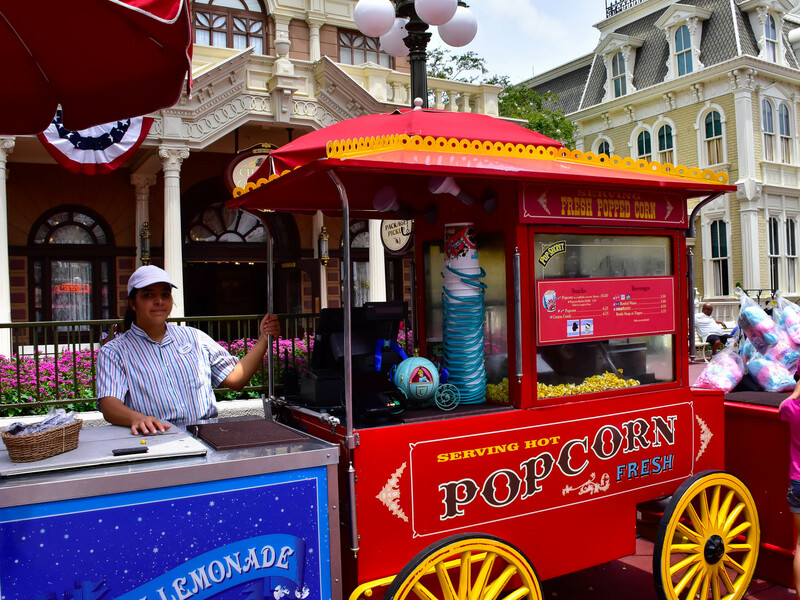 There are a variety of options, from street vendors selling popcorn and ice cream to quick service dining at Casey's. 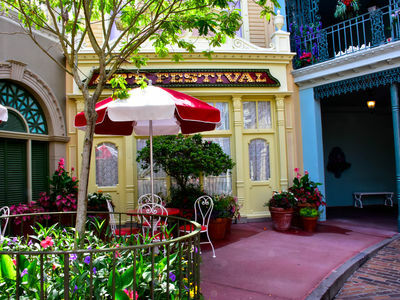 In the Town Square, there's a full service restaurant called Tony's Town Square Restaurant, and another table service restaurant along the Hub called The Plaza Restaurant. There's even a character buffet style restaurant at the Crystal Palace, which is not exactly on Main Street, but you can see it from there. 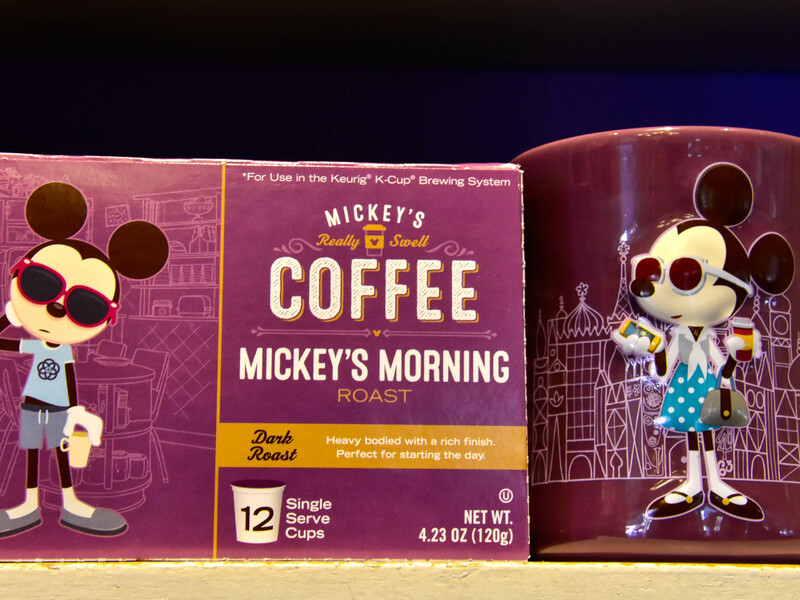 Our favorite stop, which is not a surprise if you know us, is the Main Street Bakery, which is the home of the park's Starbucks. Fresh popcorn always hits the spot. it's the first snack you'll see on your way in and the last on the way out. Photo by Bonnie Fink. 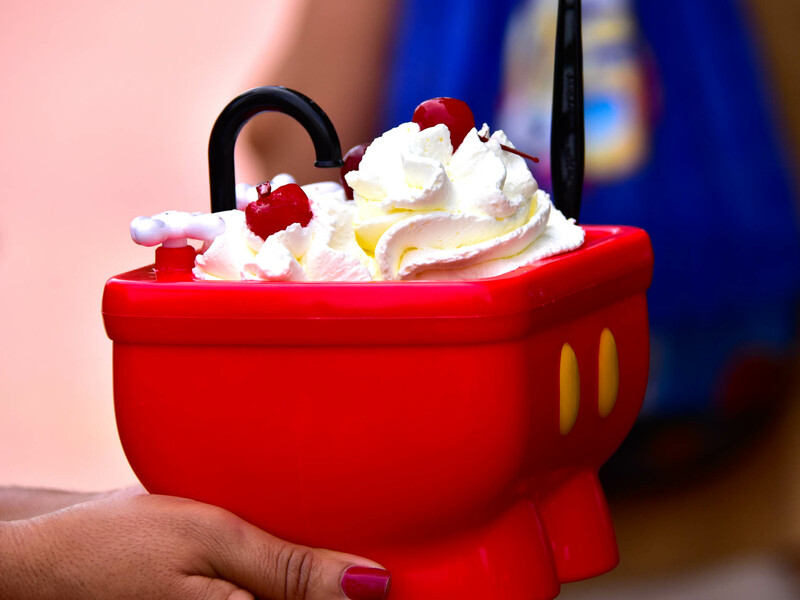 Mickey's Kitchen Sink Sundae, or, the Mickey Pants Sundae at the Plaza Ice Cream Parlor. Three scoops of ice cream with three toppings including whipped cream, chocolate and peanut butter chips, and of course, there are three cherries. You get to take the sink home too. Photo by Bonnie Fink. 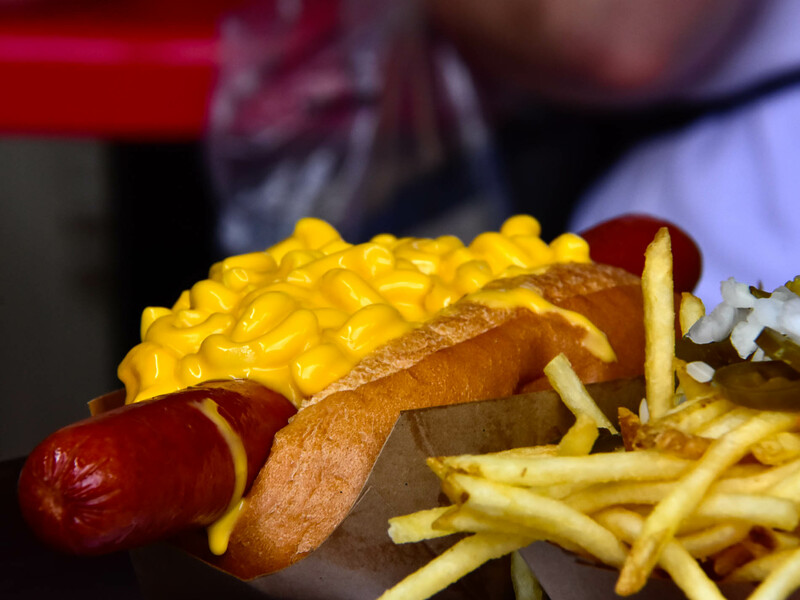 Macaroni and cheese Hot Dog with Fries at Casey's Corner. Bonnie says I can't make fun of this because some folks really like it. And really, y'all know you want one, no matter what you say. Photo by Bonnie Fink. 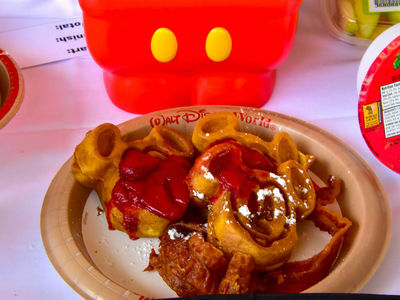 The Plaza Ice Cream Parlor also has breakfast, which includes the Mickey waffle plate, or for the hearty appetite the doughnut sundae, plus a few other choices. We were kind of poking fun at the hot dog above, but this is some serious food here. Photo by Bonnie Fink. Red, white, and blue cupcakes for the Fourth of July are a favorite at the Main Street Confectionery Store. Photo by Bonnie Fink. Enjoy a candy apple that looks like Minnie in the Main Street Confectionery Store. Even if you don't fancy one of these apples, it's fun to stop by the store and watch them being made. Photo by Bonnie Fink. 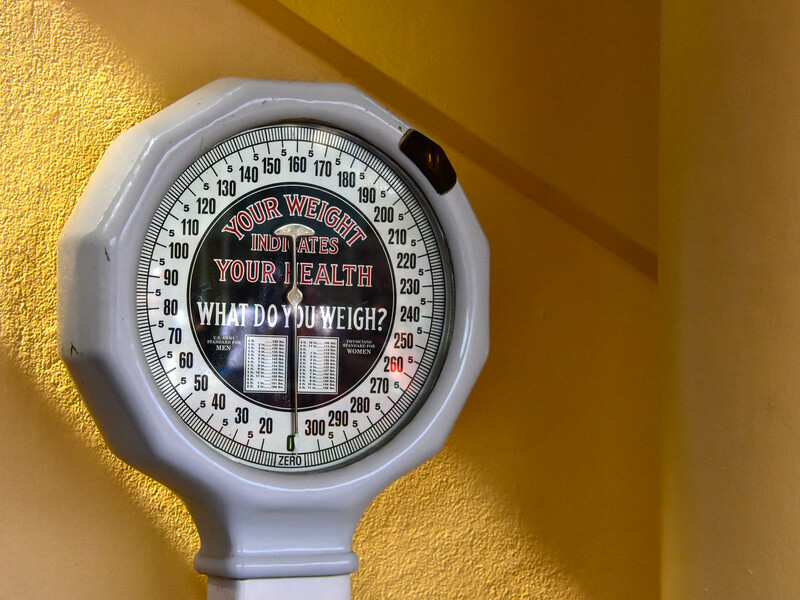 We're not sure why there's a scale on Main Street. Maybe to remind you of how much fun you're having eating at Casey's. Fortunately, the scale doesn't work. Photo by Bonnie Fink. Disney doesn't miss much in the merchandising angle along Main Street USA. After all, that's where the big stores are, and it's the most convenient place to pick things up that you might need on your way out. We've actually purchased quite a few things here over the years. From neck ties for work to household items for the kitchen. Even some interesting and unique artwork can be found here. The range of opportunities for finding branded Disney merchandise along Main Street extends from street vendors selling everything from balloons to ice cream, to the handmade glass art, and even high end, signed original art and animation cells. On a hot day this is a good person to run across. Photo by Bonnie Fink. 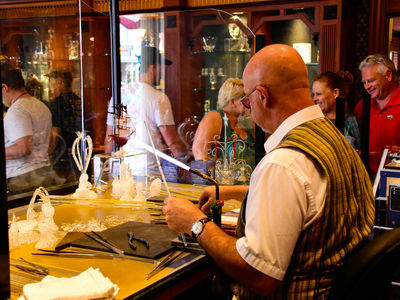 At Uptown Jewelers, you can watch many of the artists actually making the merchandise that's sold in the store. Here, an artist works with melting rods of glass. Photo by Donald Fink. Is this a nineteenth century dentist's office? 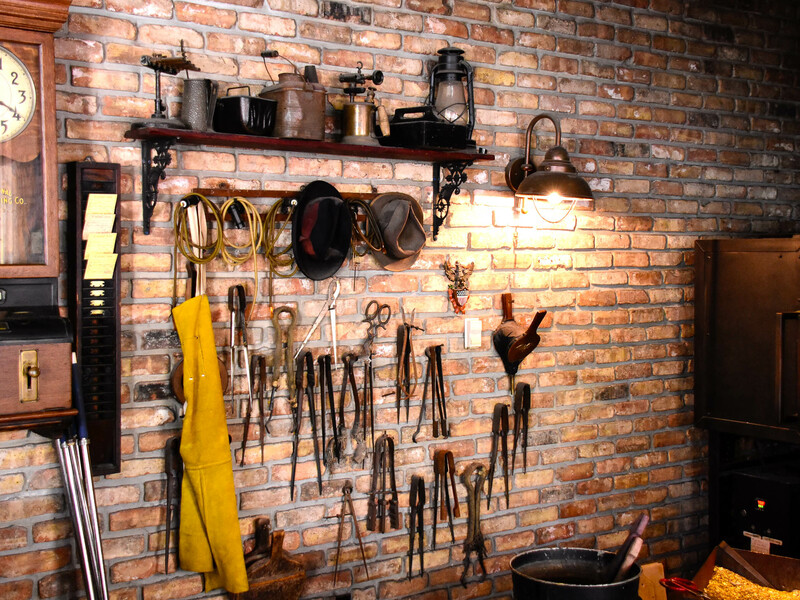 It may look that way, but these are the tools used by the glass blowers in the Uptown Jewelry Shop on Main Street. Photo by Donald Fink. 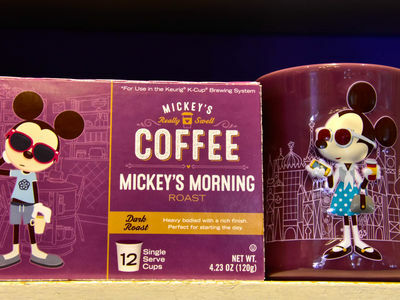 A great gift, Mickey Coffee and a Minnie Coffee Cup. 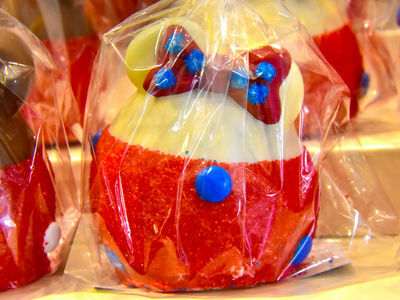 The Main Street Confectionery store has a great assortment of gifts. Photo by Bonnie Fink. 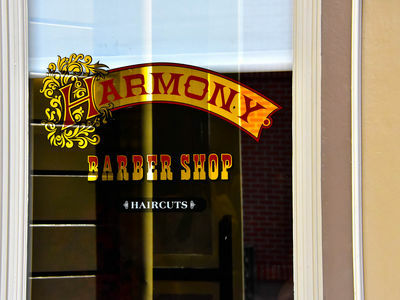 Did you know you can get a haircut on Main Street? They have a first haircut package, and adults can also get a haircut. If you ask, they will include some pixie dust. Photo by Bonnie Fink. Surprisingly, a regular adult haircut at the Harmony Barber Shop is not that expensive, as haircuts from actual barbers go. What's really special about this shop, is that they specialize in "first haircuts." It's common to see parents with their young ones in here getting their first haircut. 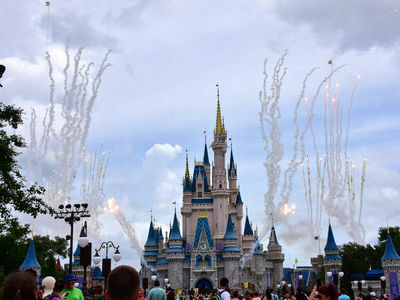 The cast members make a big production out of it, taking what could be a traumatic experience for a child and making it into a Disney experience. It naturally comes with pixie dust too. We recommend this shop for anyone needing a haircut, but especially for kids who are ready for that memorable first trim. We also recommend reservations. They usually take walk-ins, but they're very popular and the wait can be awhile. Like everything else at Disney, Main Street USA is full of details. If you walk the center of the street and look up at the windows, for example, you'll see the names of individuals displayed as various companies and services. Many of these companies are fictitious, but the names are real and represent the people who helped Walt with everything from purchasing the land for Walt Disney World, to its construction and design. Back on the street level, you can find details everywhere you look. 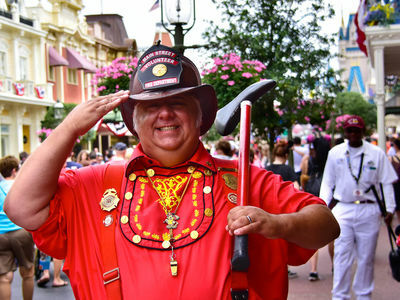 Some of it represents Disney themes, from a movie or animated film in the past, and some of the details are just showing off an American way of life. 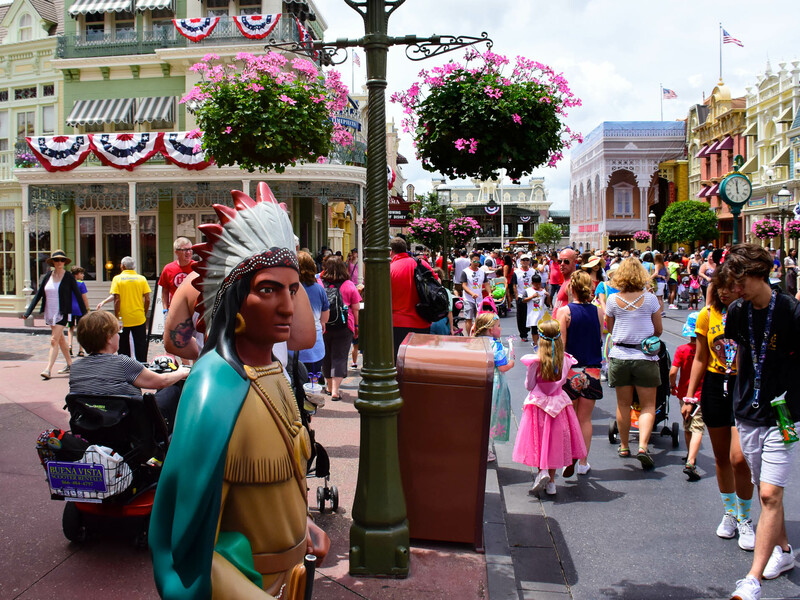 If you look you will find a wooden Indian on Main Street. Photo by Donald Fink. You can find some very cute statues on the Hub. Photo by Bonnie Fink. 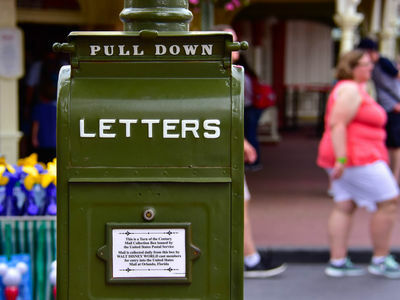 Yes, you can actually mail a letter on Main Street, but the post mark is just plain ol' Orlando. Photo by Bonnie Fink. Here's a quiet little spot to relax and regroup just off of Main Street. Photo by Bonnie Fink. Can you find the hidden Mickey on this horse's tack? We found it right off. Photo by Bonnie Fink. 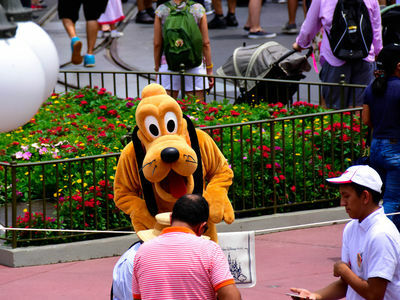 Throughout the day there are usually characters located in the Town Square to greet guests, sign autographs, and take pictures. 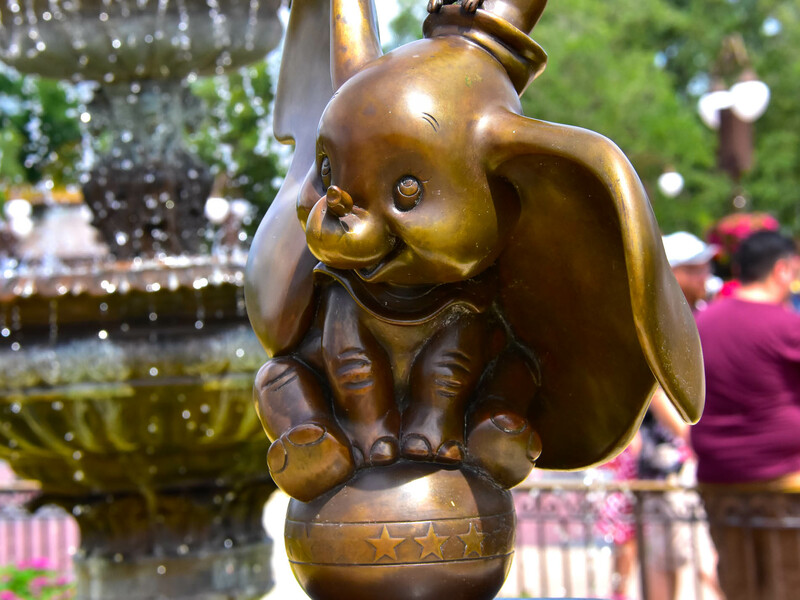 As you might imagine, these characters don't spend too long outside during the summer, but we noticed that when one character went in, there was another to take their place right away. Chip (left) and Dale signing autographs in Town Square near the flag pole. Photo by Donald Fink. Pluto appears to be helping out with directions, which is probably interesting since he doesn't talk much. Photo by Donald Fink. When the day is done at Disney's Magic Kingdom and the night begins, the street performers are usually through. But that doesn't mean the entertainment is over. In fact, that's when the really good stage shows and other activities surrounding the castle get into full swing. Two shows come to mind right away. At 9:00 p.m. (usually), there's the new fireworks display, Happily Ever After. 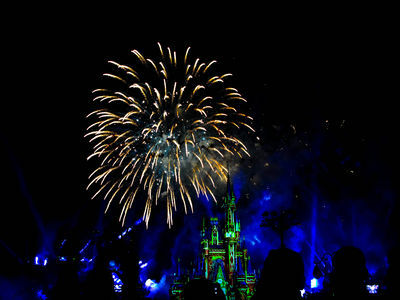 There was quite a bit of uproar on social media when the old show, Wishes, ended a couple of months ago, but since the very beginning of Happily Ever After, most people have agreed that this new nighttime spectacular is leaps beyond Wishes. And they kept Tinker Bell. 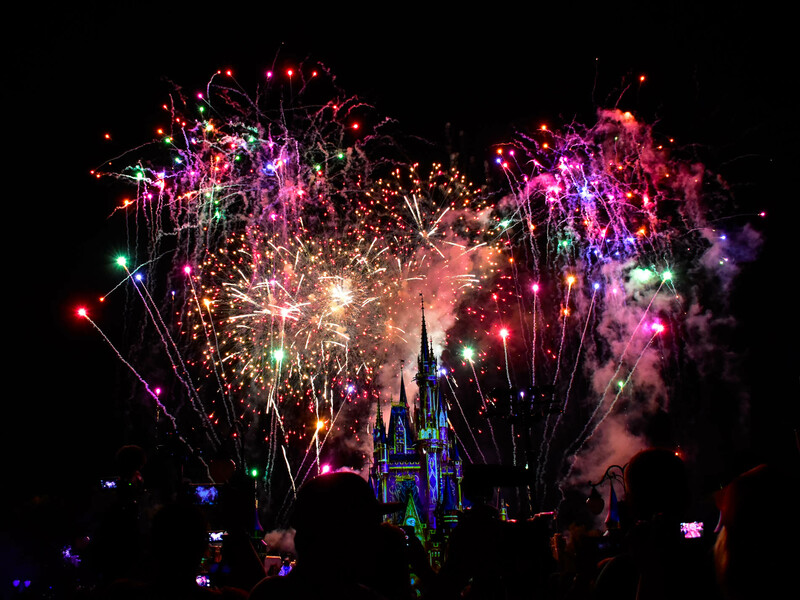 After Happily Ever After, there's another light show at the castle called Once Upon a Time. It usually shows at 9:45 p.m. and it's worth the wait. The fireworks show, Happily Ever After, uses many different elements, from good ol' pyrotechnics to lasers, to seriously good projections on the castle to tell their story. Photo by Bonnie Fink. We count the length of Happily Ever After to be about eighteen minutes long, which is longer than Wishes. In that time, Disney manages to tell a story using references to many Disney films and stories. It's not just a bunch of fireworks in the sky, but also compelling music and narration that brings the story to life. Photo by Bonnie Fink. 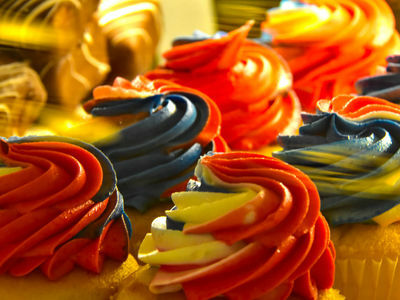 We enjoyed preparing this photo tour. As with all of the "tours," we get a chance to get out and really look things over. We usually find far more details than we can show here, and this month's tour is no exception. 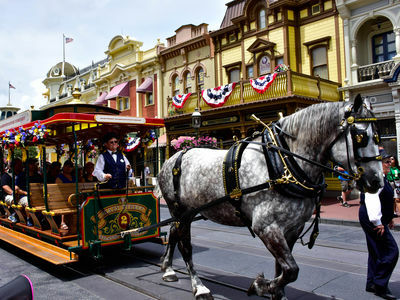 With Main Street USA as rich and colorful with Disney detail as it is, we'll probably never look at it as just a way to get to the rest of the park again. My Disney Top 5 - Things to See on Walt Disney World's Main Street U.S.A. 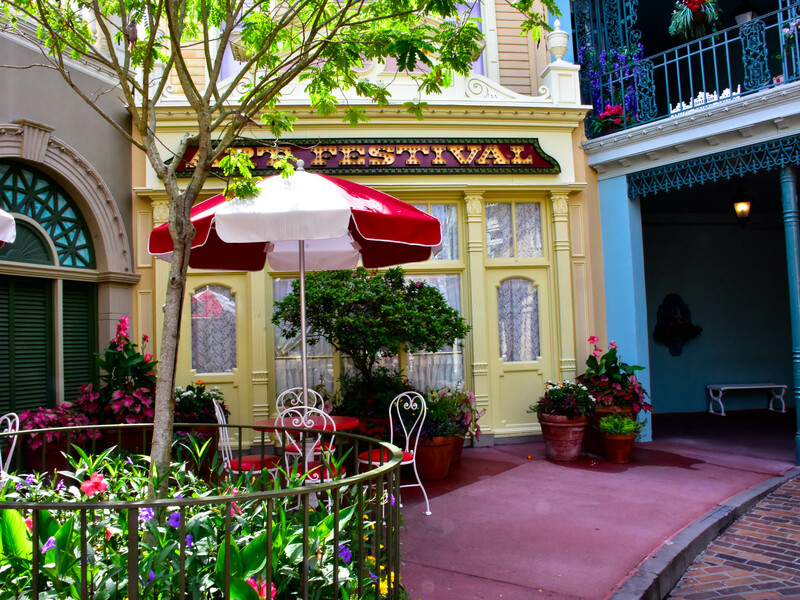 I know there are many many NEAT things on Main Street, but I think one of the best is in front of the Italian restaurant.. the tribute to lady and the tramp..
You mentioned that there are daytime shows at the castle and they start with the (fairly) new welcome show. From Welcome in the morning until the Good Night Kiss, Main Street is indeed a land full of magic all its own!